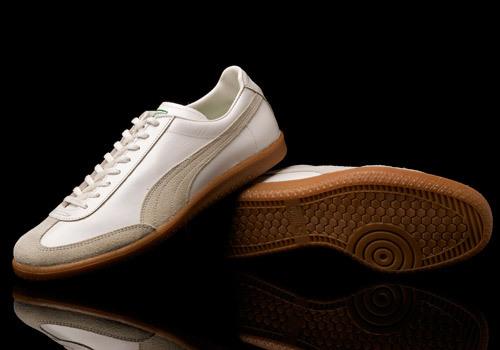 PUMA has this uncanny ability to put out robust casual shoes that provide a heightened sense of class and luxury, remain modest and down-played, and yet still serve as durable and usable sportswear. 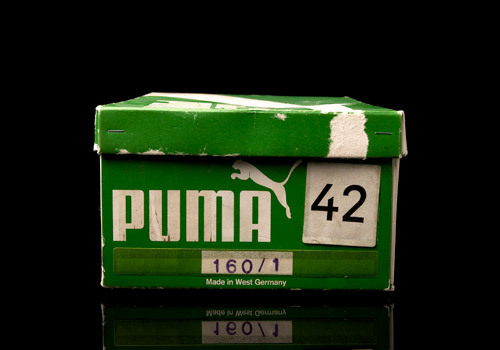 These almost magical mixture of ingredients – quality materials, simple design, sturdy fit, and overall secure feel – give birth to an army of vintage treasures, making the hunt for the right pair as enjoyable (if not more so) than the catch itself. 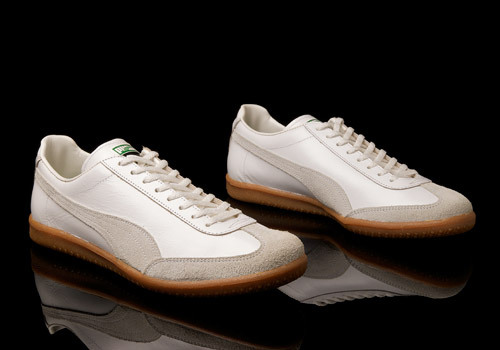 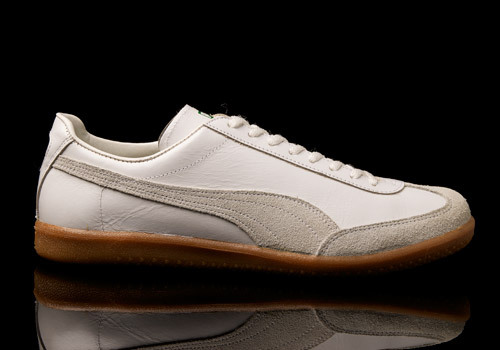 While the PUMA All White model is quite similar to many other of the German brand’s low cut, vintage silhouettes, it definitely differs when it comes to materials and colorway. 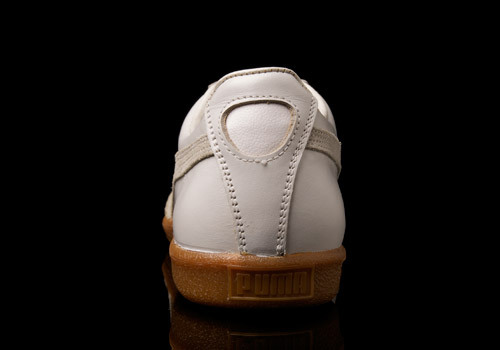 As the name implies, the blast of blank canvas casts a seriously elegant shade across the trainers which is only refined by the off-white suede toe box layer and formstripes, providing a dash of seniority to the pair. 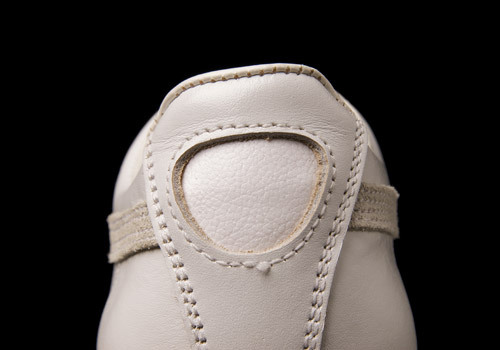 Firm construction in both the heel and toe make these quite long lasting, and the heavy, solid, gum outsole is securely attached despite their age. 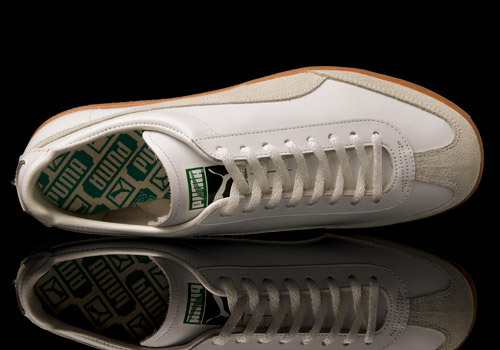 The insole – laced with green print to match the tongue branding – informs of its man-made production and all real leather upper. 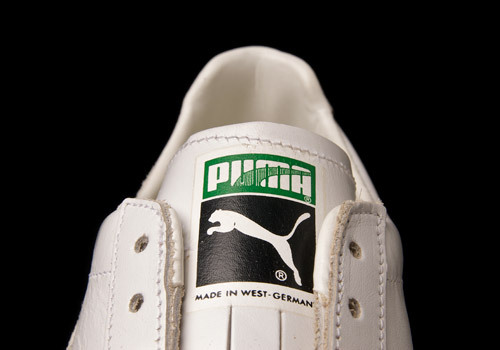 No doubt of the quality can be had as the text below the iconic cat on the tongue patch reads “Made in West Germany”, and I think we all know what that means. 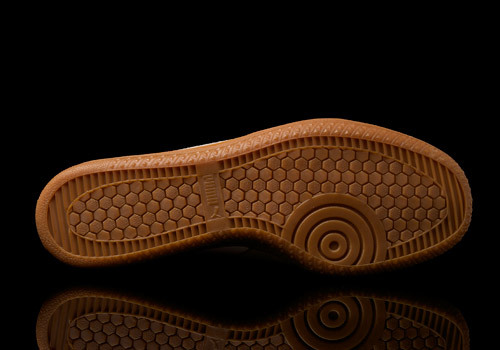 Solid engineering. 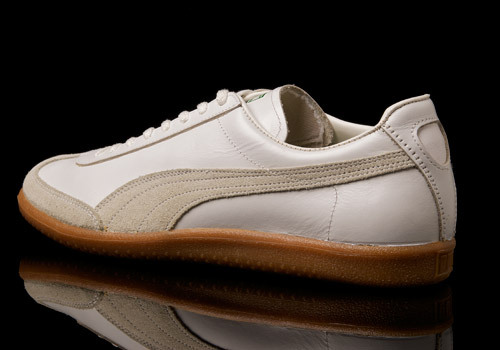 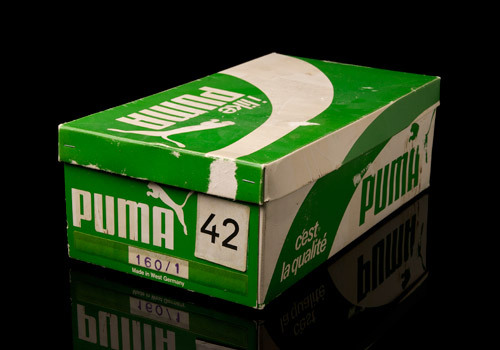 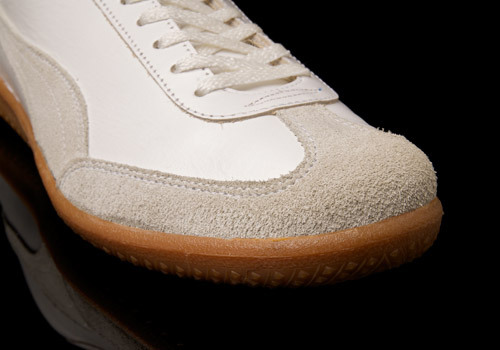 Quite possibly not a shoe for everyone, though one thing is for certain; the PUMA All White is one of the most memorable drops from the big cat’s West German archives.